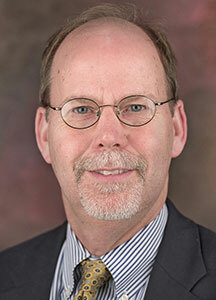 Ford Risley is associate dean for undergraduate and graduate education in the College of Communications. Prior to assuming the role, he served as head of the Department of Journalism from 2002-2014. He teaches mass media history, feature writing and other courses. He was awarded the College of Communications Alumni Society's Excellence in Teaching Award in 2002. His research centers on mass media history, especially Civil War-era journalism. He is the editor of American Journalism, the quarterly scholarly journal of the American Journalism Historians Association. He also is director of the Pennsylvania Newspaper Journalists Oral History Program. He is the author or editor of three books, including "Civil War Journalism" (Praeger, 2012). He also has published articles, essays and book reviews in a variety of scholarly publications, including American Journalism, Civil War History, Georgia Historical Quarterly and Journalism History. His book, "Abolition and the Press: The Moral Struggle Against Slavery" (Northwestern, 2008) won the American Journalism Historians Association's award for the best book on media history. Prior to teaching, he spent 12 years as a newspaper reporter and freelance writer. He holds a B.A. from Auburn University, a M.A. from the University of Georgia and a Ph.D. from the University of Florida.